Chef Rebecca LaMalfa grew up on a farm in Chico, California with her life revolving around food. Her father was a second-generation farmer while her mother made canning apple butter and peach preserves a yearly family affair. As a result, LaMalfa inherently gravitated towards cooking, and her early experiences with food continue to shape the way she cooks today: taking seasonal ingredients and treating them in the most thoughtful way possible. LaMalfa attended the Culinary Institute of America where she earned a dual degree in culinary and pastry in 2006. After graduation, she moved to Las Vegas and was hired to work at Craft Steak. Following a stint at The Four Seasons Scottsdale at Troon North, she returned to Las Vegas in 2008 to work at Michelin starred restaurant Daniel Boulud Brasserie before moving on to another Michelin starred restaurant, Michael Mina, where she worked under celebrated chef Marc St Jacques. In 2011, LaMalfa accepted a sous chef position under James Beard nominee Gregory Pugin at Michelin starred restaurant Le Cirque in Las Vegas. She moved to Chicago the following year and assisted in opening Trenchermen (Bon Appétit ‘Top 50 Best New Restaurants’ 2013). As the executive sous chef of Trenchermen she draws from all of her experiences, from the farm-to-table ethics she grew up with to the technique she has honed over the years, to help realize the restaurant’s unique vision. In 2016 she took the helm of Sir Richard Branson’s Virgin Hotel Chicago as their Executive Chef. In June of 2017 she moved to Detroit to join her husband. 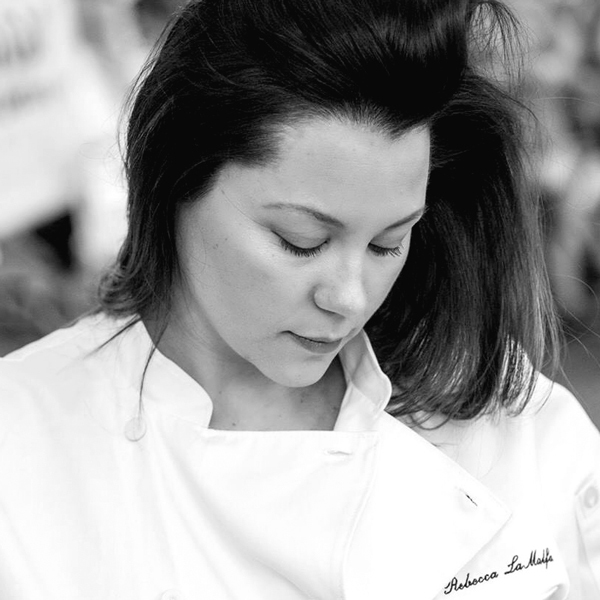 Rebecca is married to Thomas Lents, the executive chef of The Detroit Foundation Hotel. They have three fuzzy children: a pit named Rooney, a dachshund named Horton and a cat named Giggs.